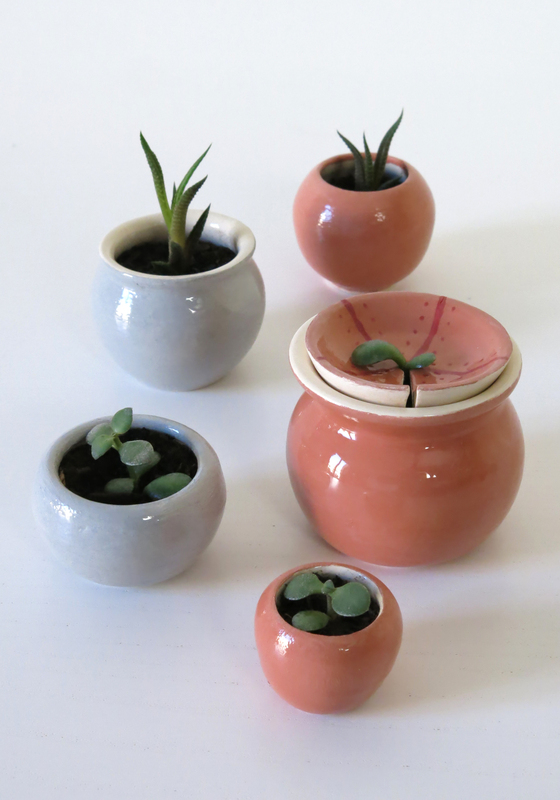 These mini-pots were created to help the propagation of plants. As some plants are easily propagated my cuttings, I created a small dish that holds the cutting above a pot which is filled with water. The reason for this is that the roots will develop through the contact with water, but they are also sensible to light, so this dish will create the perfect separation between the needs of the roots and the needs of the leafs. The other tiny pots are perfect for the propagation directly on soil. Once the plants have developed strong roots they are ready to be moved to a bigger pot. 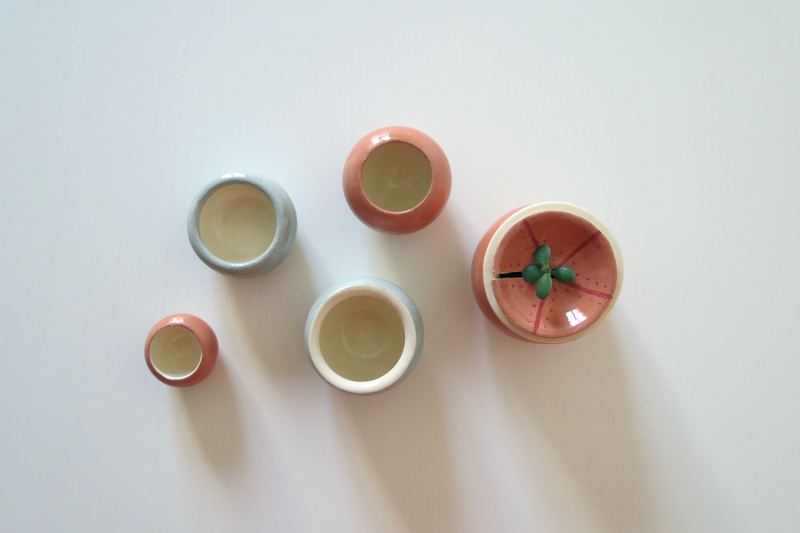 These pots are earthenware decorated with colored slips and transparent glaze.